Mahindra XUV300 Racks Up Over 13,000 Bookings In A Month! 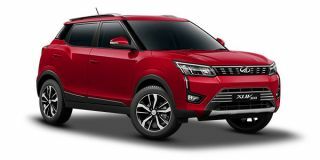 With the Mahindra XUV300 set to launch today, we take a look at the real-world performance of its rivals and what the Mahindra will be up against. Mahindra&#039;s latest SUV is here. Apart from the price, which will be revealed on February 14, we pretty much know everything there is to know about the XUV300.